« Digestive Enzymes: Goodbye Bloating! If you are new to cultured vegetables, a.k.a. “cv’s”, this is a good place to begin. 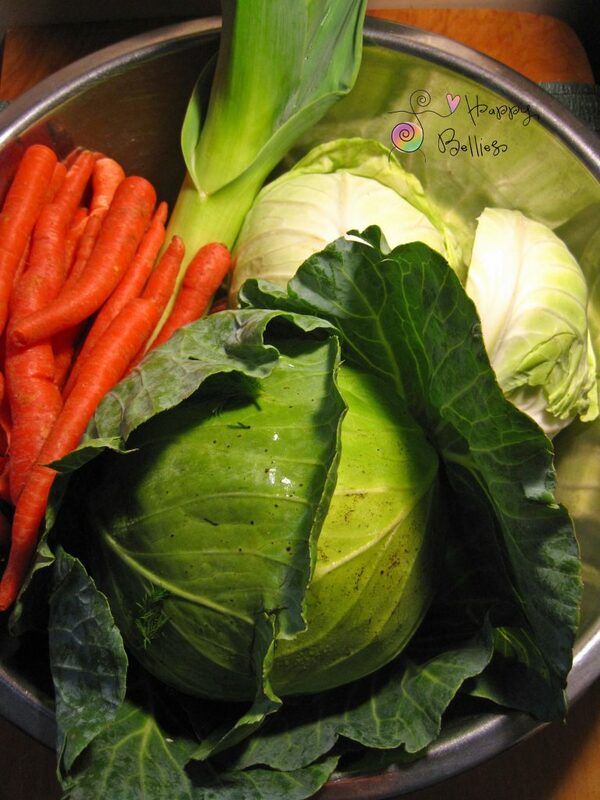 I have laid things out step-by-step with just 3 ingredients; cabbage, carrots, and culture starter. A simple, colorful mixture to light up the taste buds. Don’t let their simplicity fool you. Cv’s are potent and can kick-start your gut engine to have you digesting like a rock star ✨ They can also knock out the toughest bad bacteria, yeast, and viruses that live in your body. I discovered this probiotic-rich food when I had a chronic yeast overgrowth that was causing me a ton of bloating, gas, and pain. A friend gave me a book called The Body Ecology Diet (B.E.D) which had a chapter on unsalted cultured food. I was hooked. As soon as I read that part, I knew this food was the missing piece to my diet. Years later I continue to make this recipe along with my other fave Purple Potion. 1. Scald or wash with hot, soapy water all equipment. You can spray everything down with food-grade hydrogen peroxide in a small spray bottle and dry with paper towels. 2. Dissolve culture starter and EcoBloom in ¼ c. warm (90 degrees F) filtered water. 3. Allow to set for 20 minutes. 4. Combine vegetables and seasoning in a clean, large bowl. 5. Remove about a 1/3rd of this mixture and place in a blender or food processor (if blender is small, do this in 2 batches). 6. Blend with enough filtered water (about 2-3 cups) until consistency of thick juice. 7. Add this thick juice and the culture starter mix to the bowl of vegetables. 8. Mix everything with two big spoons, or clean hands. 9. Pack mixture tightly into pint or quart-size glass jars with a potato masher, or your fist to force out air pockets. 10. Fill jars, allowing liquid to cover vegetables with about 1 1/2-inches of head space. 11. Roll reserved cabbage leaves to form tight logs. 12. Place “logs” on top of veggies, pushing down so liquid just covers “logs” (add more brine if needed) – leave 1-inch at top for expansion. 13. Screw lid on tightly. 14. Culture vegetables for 3-10 days in a dark, warm spot (70-72 degrees F) – See my oven incubator kit if you have a hard time keeping temperatures constant as it’s very important to have them steady throughout the culturing period. I like my cv’s best around day 7, but we all like them at different textures and sourness so learn what day you like them best at. 15. Enjoy up to ½ cup with meals. 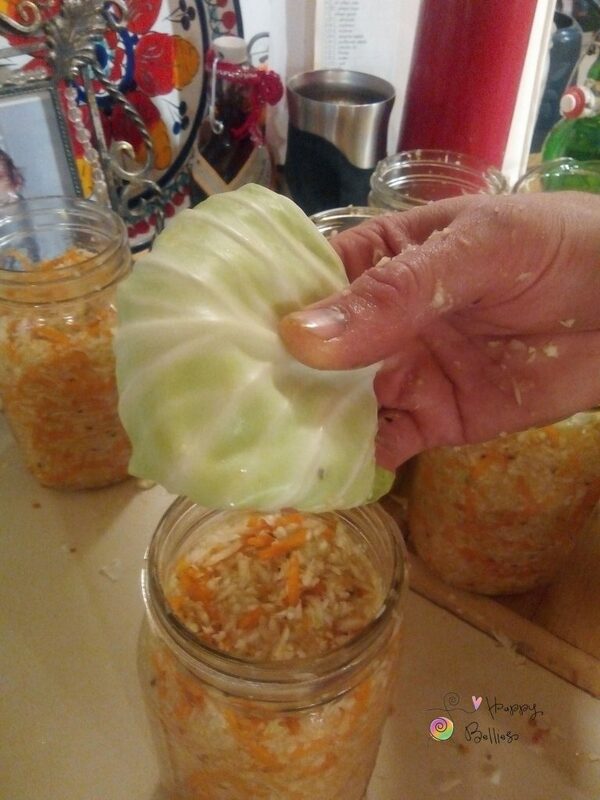 You can also use Mason jar porcelain weights to keep your fermenting veggies submerged under brine.. These are handmade porcelain weights are ideal for and are made in three sizes to fit any Mason jar. Take it slow, cultured veggies are rich in enzymes and probiotics, so take it slow and ease in to eating them. Once your body gets used to the extra live activity, slowly up your dose. Donna Gates, founder of B.E.D, recommends a therapeutic dose of 1/2 cup with each meal. Store cultured veggies in fridge where they’ll continue to ferment at a slow pace and keep well for many weeks – even months – becoming softer and more delicious with time. *Body Ecology’s culture starter makes potent cv’s. It contains Lb. Plantarum, a strong probiotic strain. Most probiotics get destroyed by antibiotics, fluoride, stomach acid, and chlorinated water before they reach your intestines. Which is where they live. Yet, these guys (Lb. Plantarum) get there safe and sound. **Body Ecology’s Ecobloom is 100% natural powder chicory extract FrutaFit, Inulin (FOS – fructooligosaccharides). This prebiotic is a quick food for the probiotics. Like the ones in that culture starter packet you’re using. When you add Ecobloom you provide something for the little guys to munch on while they’re adjusting and growing in #’s in the jar. I marvel at the emotional and spiritual healing that I feel as I heal my gut with this kind of probiotic nutrition! HL, Montpelier, VT.
No. Though I used when I was 1st beginning to learn how to make cv’s…I was so worried that the jars would explode! Now I know how to pack them properly and so don’t worry anymore. 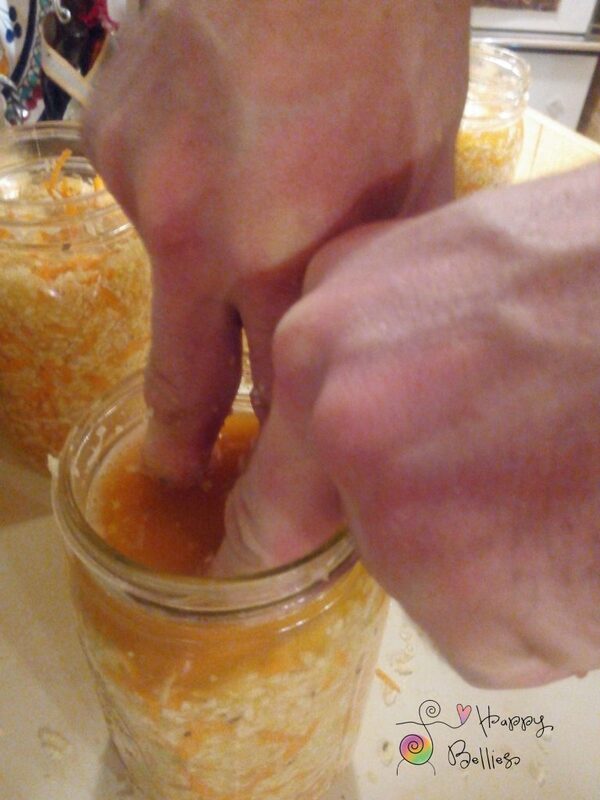 If you do burp them then I’d suggest sticking the jar you did that to in the fridge and consider it done fermenting. Do you burp your jars at all during the 3-10 day fermentation process? Tara, it looks like you use the core and all of the cabbage. Is that right? Also, I couldn’t hear the variations after the cabbage/beet one. Would you, please, write out those variations? Fun seeing the kids. Great job, Tomas and Tara! I get my 3% food grade hydrogen peroxide online at Live Superfoods. You may be able to find yours more locally at a pharmacy, etc. but I have not had luck in my area. where do you get your food grade hydrogen peroxide? I do not add any water to my Food Grade hydrogen peroxide….Just straight I find to be just fine!! Thank you for sharing your recipe and the video. What is the ratio of peroxide to water in your spritzer bottle?